Fair Isle Bird Observatory: the Warden's diary: Time for one last September surprise? 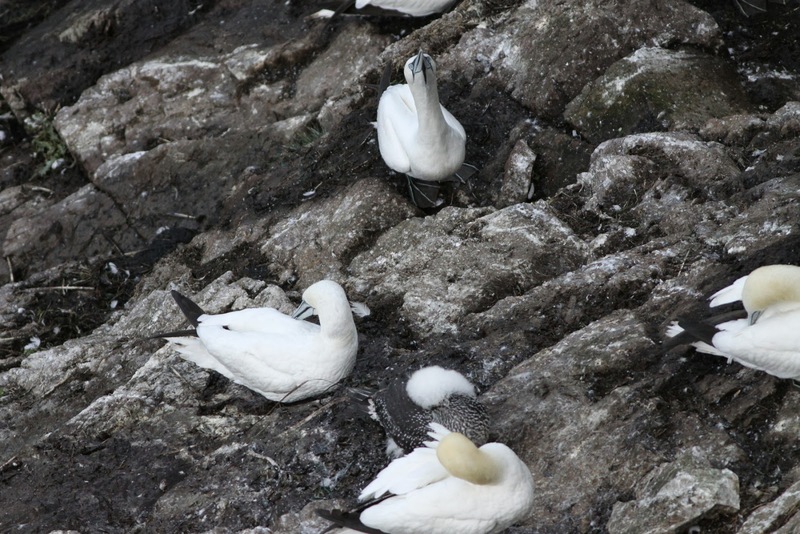 Although census and ringing take up the bulk of the time at this time of year, we're still not quite finished seabird work yet - a few tardy juvenile Gannets mean that we're still having to check the colonies regularly before we can come up with the final productivity figures. With a day of south-easterly winds followed by a murky, foggy day and then a return to clearer skies and more strong south-easterlies, the conditions remained promising and, although generally there were not large numbers of incoming birds, by late on 29th there were signs that migrants were starting to pitch up in greater volume. The star arrival of the period was a Lanceolated Warbler at Shirva on 28th, which spent its time running along under a rose bush whilst fascinated observers could peer over a small wall and watch this quintessential Fair Isle rarity just a couple of feet away. Rarer still was the Syke’s Warbler, which remained at Vaila’s Trees throughout, showing well at times. The Hornemann's Arctic Redpoll put in another appearance at Taft on 28th (with up to 10 Common Redpoll also present). Scarcities were represented by Yellow-browed Warblers (with daily counts of 32, 20 and 29 and an apparently relatively high turnover of individuals), 2 Barred Warblers on 27th (with one remaining to 28th), 2 Red-breasted Flycatchers on 27th (with one still present in South Reeva to 29th) and a Corncrake at Boini Mire (28th). At least 4 Great Spotted Woodpeckers remained on 27th and up to 3 were seen until 29th.